This map illustrates the townships of Bruce and Grey counties on January 23, 1881. 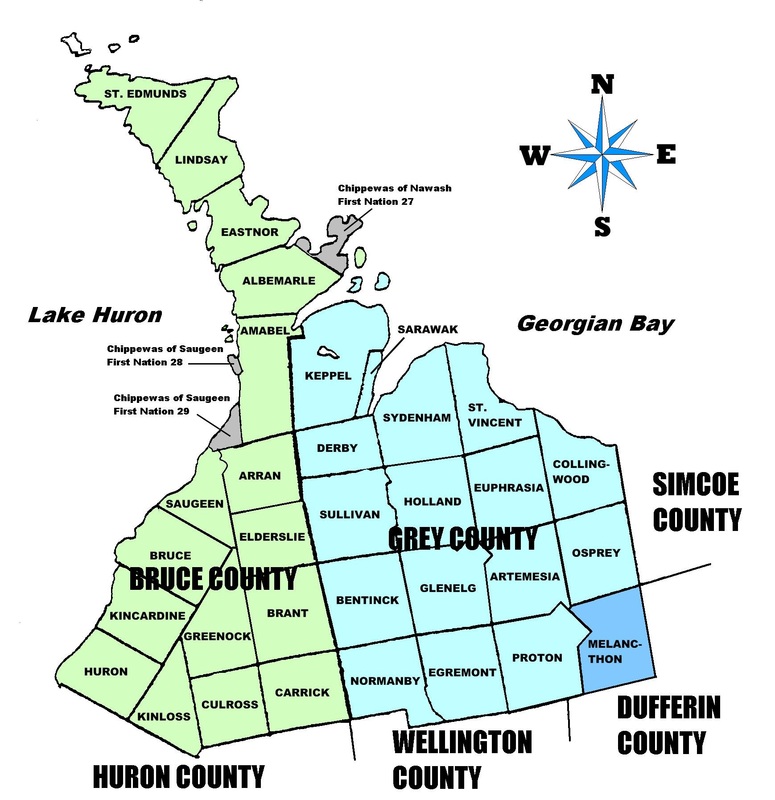 On January 24, 1881 Melancthon Township was transferred from Grey County to the newly formed Dufferin County. Many thanks to Gordon Torrie, Technical Co-ordinator of Bruce & Grey Branch OGS for producing this map.